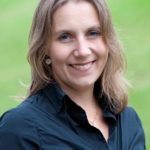 Dr. Kristine Sørensen is health literacy expert and project coordinator of the European Health Literacy Project (HLS-EU) hosted by the Department of International Health at Maastricht University. Other related projects are the Collaborative Venture on Health Literacy; which integrates health literacy into business action and corporate social responsibility; the Diabetes Literacy Project supported by the European Commission, and the study on health literacy and the right to access to health in collaboration with Council of Europe. She has acted as advisor on health literacy for WHO, European Commission, the European Parliament, European Centre of Disease Control and other international organizations. She has recently received the European Health Award for the outstanding social and political impact of the European health literacy project. Kristine Sørensen has an educational background in medicine, public health and global health diplomacy. She prefers working with cross-cutting health and development issues and being engaged in the civil society and community she has held honorary positions at national, regional and world level. Currently, apart from her involvement in Bridge4Health she is member of the advisory board for 50 schools in her local region of Limburg in the Netherland and focal point for Health Literacy Europe, a network advancing health literacy in Europe. ← B4H 1st Organizational Contributor: Simon Fraser University Health Promotion Team!